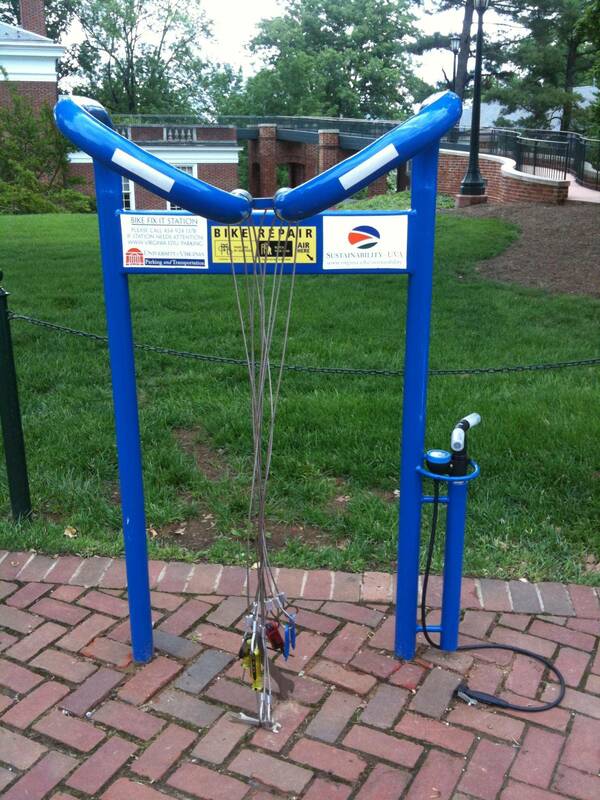 In an effort to promote bicycling, the University of Virginia installed a public D.I.Y. repair stand with an air pump and enough tools to fix almost any basic mechanical problem. It’s a simple and clever way for the school to not only show their support for bikes, but offer cyclists something practical and helpful. It’s also nice to see an institution taking a different approach to bike advocacy than slapping down some sharrows or painting some poorly placed bike lanes. It would be great if public repair stands caught on in cities everywhere. It makes so much sense to install them along bike paths and high-traffic bike corridors. I carry a basic repair kit and pump with me every time I ride. 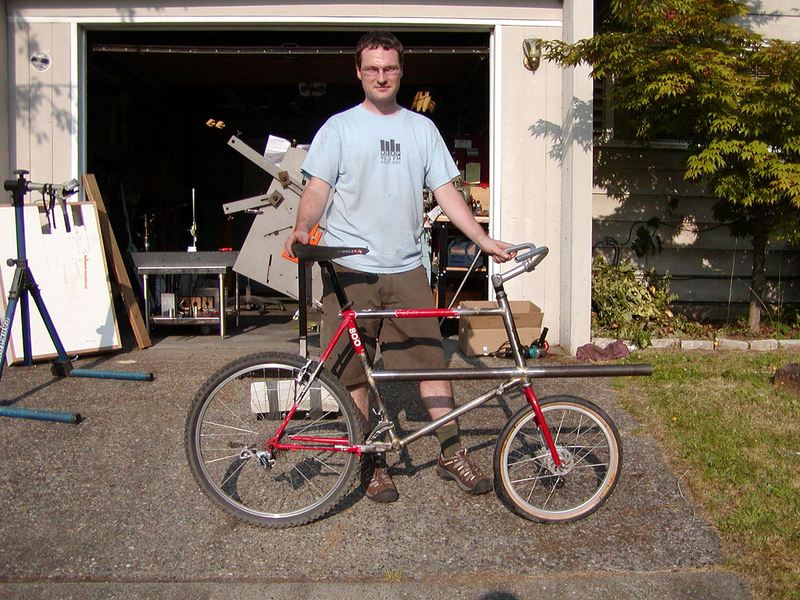 But if I had the option to throw my bike on a stand and use real tools rather than propping my bike against the nearest sign and working my little hand pump until my arms get tired, I would do it every time. Who Knew Chains Were So Interesting? Alright, chains alone aren’t terribly interesting despite their importance in every cyclist’s life. But this clip from the show How It’s Made showing the factory production of a new chain is surprisingly interesting. Have patience when you start the video. The first few seconds are a little off. 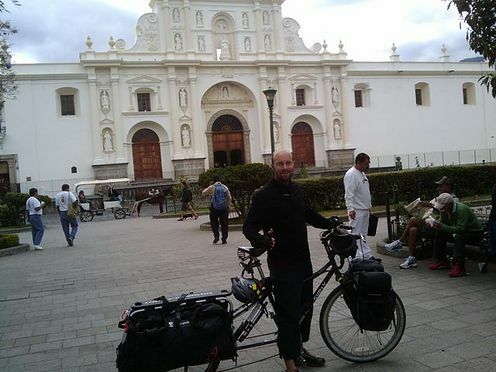 PJ and his Big Dummy in Antigua, Guatemala. Photo from PJ’s blog. Last week, I wrote a short post about an awesome organization in San Andrés Itzapa, Guatemala called Maya Pedal. 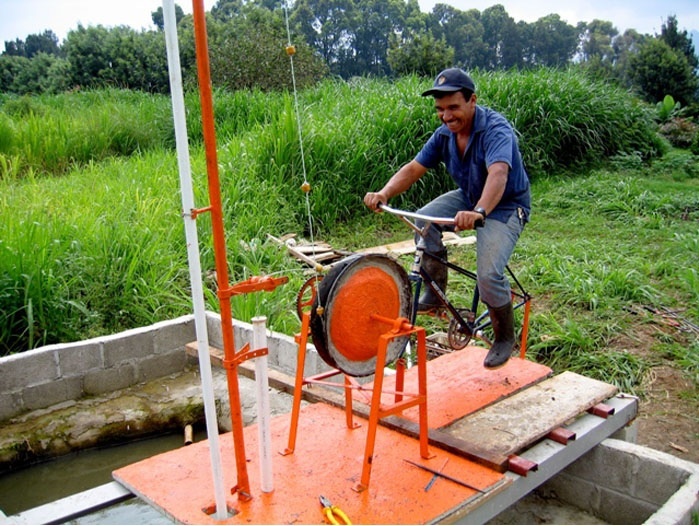 The group re-purposes old bikes into bicimaquinas—pedal-powered machines used for washing clothing, drawing well water, shelling nuts, milling grain, and more. After I posted it, a friend of mine told me that one of his co-workers at the Mt. Rainier Bike Co-Op in Mt. Rainier, MD is currently volunteering for Maya Pedal. That co-worker is MRBC founder PJ Park who is not only volunteering for Maya Pedal, but rode his bike all the way to San Andrés Itzapa to do so! PJ told me about his work with the organization so far, his long tour from the United States to Guatemala, and what Maya Pedal needs to continue to succeed. Utility bikes have seen a surge in popularity in North America in the last few years. Seeing a long-tail cargo bike or a Dutch Bakfiets go rolling by is no longer cause for a head-snapping, slack-jawed stare—for bicyclists at least; the general population might feel otherwise. I recently learned of an NGO, however, that puts bikes to work in such remarkable and utilitarian fashions that it puts even the finest smugness flotilla (see BikeSnobNYC for that reference) to shame.